Today we give you trick to Add Automatic Read More Button For Blogger your long blog post which appear in your home page. Read more buttons needed because blogger show full post on your home page but many blogger want to show only summary of blog post on home page. So we need to add read more buttons on home page to split long blog post to summary and add read more after summary. Here I am showing you How to Add Automatic Read More Button For Blogger Blogs. After add this code your home page long post automatically convert into 2-3 line summary and add read more button after summary. Login into Blogger Account and Go to Blogger Dashboard. 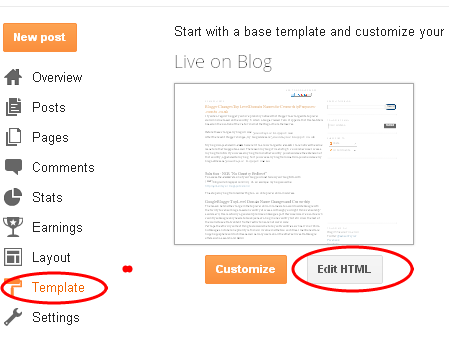 Go to Blogger Template at the left panel and Click on Edit HTML Link as shown in below picture.